Integrative Scientist Pizzorno: "Toxicity is the Primary Driver of Disease"
Regular medicine is awakening to the dumbfounding reality that clinical care accounts for just 10%-20% of the factors contributing to health. But if research recently presented by a leader in the revitalization of the naturopathic medical profession - and of the movements for functional and integrative medicine - is correct, even the most aggressive adopters of the new thinking are still missing the boat. The new thinking argues that if we want to create health, we need to address things like poverty, education, genetics and healthy behaviors. The figure describes these. Yet according to best-selling author and researcher Joseph Pizzorno, ND, even these new adopters are grossly understating the most significant factor. In a recent presentation at Snowbird, Utah at the annual conference of the American Association of Naturopathic Physicians, Pizzorno presented compelling evidence that - if his calculations hold up - "toxicity is the primary driver of disease." 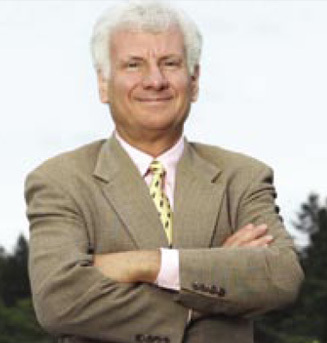 Pizzorno, the co-author of the Textbook of Natural Medicine - the first major textbook detailing the evidence behind natural therapeutics - is the leading figure in the re-emergence of the naturopathic medical profession over the past 40 years. The founding president of what is now Bastyr University is presently the editor of the peer-reviewed and PubMed-indexed scientific publication, Integrative Medicine: A Clinician's Journal. Since leaving the Bastyr presidency, Pizzorno led a multi-year employee health project with a significant Canadian employer. Through it, he opened his eyes further to what he now believes is the most important yet grossly under-respected target for remedial action if health is our goal. Pizzorno and colleagues first shared well-known data showing that our present chronic disease epidemics - including obesity, diabetes, attention deficit hyperactivity disorder (ADHD), and kidney disease - are temporally associated with a parallel rise in environmental pollutants. The worst are what are called POPS - "persistent organic pollutants." These are chemical compounds that are defined as "resistant to environmental degradation through chemical, biological, and photolytic processes." They have long half-lives and hang around in our soils and tissues. The parallel arcs of increase - see the graph below -- in each from 1960s to the present are startling. In his presentation, Pizzorno showed that, in contradistinction, the sugar-and-diabetes relationship is not nearly as compelling. In his presentation, Pizzorno then described a mathematical model he and his team built for predicting the "attributable fraction" of a disease that can be linked to specific chemical exposures. The team worked out data for high profile POPS: DDT, glyphosates, arsenic, lead, vinyl chloride and a dozen more. The conclusions are ugly. Reported Pizzorno: "Greater than 50% of ADHD is due to just 3 toxins. Over 50% of diabetes is due to phthalates, arsenic and polycyclic aromatic hydrocarbons." His team found direct correlations between specific POPs and IQ decreases in children. Individual toxins were found to have profound impacts on numerous serious diseases. "Nearly 45% of Alzheimer's," reported Pizzorno, "is linked to DDT alone." The calculations put the attributable fraction of arsenic to prostate cancer at 31.5%. Over 40% of gout in women is arsenic related. PCBs had a high association with heart attacks. And on and on. The POPS are everywhere. Pizzorno presented a slide that denoted the following proportional sources: food (70%), water (10%), house and yard chemicals (10%), air (5%) and health and beauty aids (5%). I asked Pizzorno after the talk if the formula has been vetted. He responded that he'd had it reviewed by multiple scientists and the method is under discussion. He added that "the results are so surprising that all possible critiques need to be thoroughly considered." That process continues. The week after the presentation, I opened my email to a document from the Health and Medicine Division of the National Academies of Sciences entitled "The Interplay Between Environmental Chemical Exposures and Obesity: Proceedings of a Workshop." The workshop was a world removed from the gathering of naturopathic physicians to whom Pizzorno presented his findings. Yet they had similar conclusions. Instead of naturopathic doctors whose whole system world views dispose them toward anticipating health problems from toxins, the report sponsors included Exxon, Royal Dutch Shell and Colgate Palmolive. Yet here, too, according to the introduction to the report, "the speakers at the workshop discussed evidence from both studies with animal models and human epidemiological studies that exposure to environmental chemicals is linked both to weight gain and to glucose tolerance, insulin sensitivity, inflammation, and other aspects of the metabolic syndrome." Their content was neither as wide-ranging or causality-specific as that presented by Pizzorno. Yet the agreement that addressing diet and lifestyle alone are not going to get to the bottom of the huge and costly obesity epidemic is strong. And it should not surprise that the naturopathic and integrative medicine communities remain a few steps ahead of regular medicine in respecting the damage of these agents in human health. The implications of Pizzorno's research and analysis are profound. The piece of the pie chart above on determinants of health would need to vastly expand from the 10% share attributed to the "physical environment" to reflect the corrosive, disruptive forces of toxins on our tissues and life processes. Presidential candidates vie over whether we need $1-trillion or $500-billion or $250-billion to begin to get our nation's infrastructure in order. But what is the budget needed for economic conversion from POPS-riddled industry, agriculture, energy production, food processing, housing and consumer goods to methods in each of these arenas that co-habit with human health? Isn't this an infrastructure we need to address? Pizzorno's data suggest that unless we wake to more sustainable living, we should prepare ourselves for a paradoxical future. Our highways and bridges and schools and water systems seem to have bipartisan support for renovation. Yet these fresh environs will be inhabited by human beings crippled by diseases of toxicity.